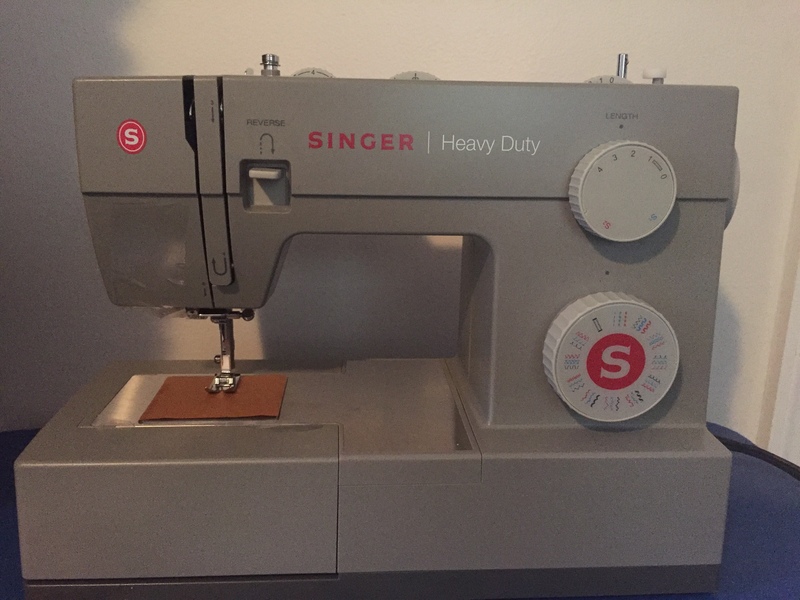 I just received my new Singer Heavy Duty 4452 sewing machine. My old one stopped working and was too light duty anyways. I’m opening the box now, then I’m going to repair some I’m husband’s pants, he’s rough on them. So far I’m happy with this machine. It self feeds the cloth, so I don’t need to push/pull it; the bobbin is loaded from the top, it even auto threads the needle.